We now have a maple creemee truck! 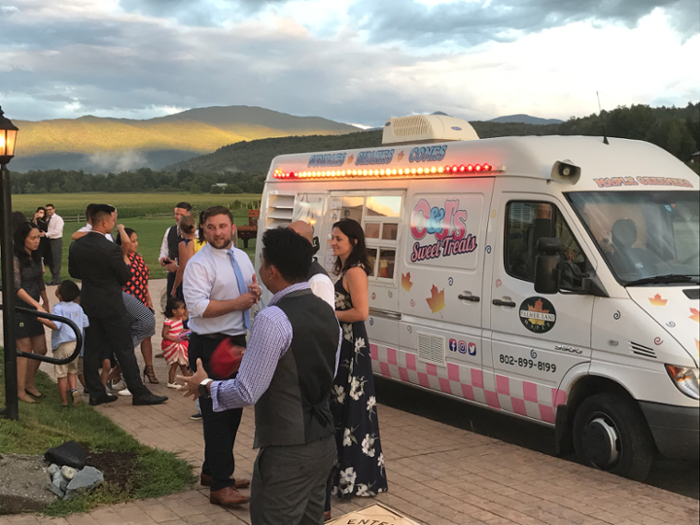 By popular demand, we now have a mobile creemee truck available for your next function. It is labeled O & J's Sweet Treats after our daughters. You will almost always find one of them working in the truck at events. Rest assured, we carry only the premium quality creemees you have come to expect from Palmer Lane Maple - especially our real Vermont Maple Creemees! We are available for weddings, rehearsal dinners, fund raisers, corporate events, birthday parties, anniversaries, class reunions and so much more!